The open BJJ “Ukraine Jiu Jitsu Selected” championship was held in Nikolaev city on March 3rd. 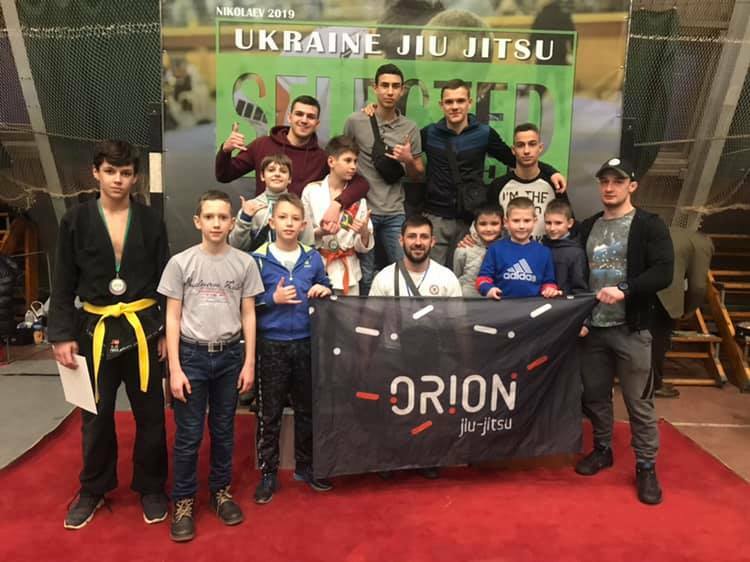 A great number of talented sportsmen from all-over Ukraine visited the tournament and showed there a high level of BJJ skills. Fighters of the SC “Orion” also impressively showed themselves on the sports arena. In total, the team gathered 7 medals. Isakov Serhii and Golovnia Ihor took gold medals in the adult category. Serhii won in the weight category 77 kg, blue belt, and Ihor won first place in the category 85 kg among white belts. Kulagin Stanislav, Deren Yaroslav, Drobotun Rostislav, and Vyshenskyi Dmitrii won silver medals. Shtanko Ihor became an absolute champion of the tournament. Winners were awarded with medals, certificates, and team cups.